A leader in the china manufacturing industry since 1903, Hall China is well known among operators for durability and consistency. 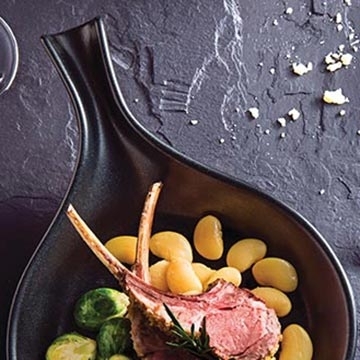 Hall uses state-of-the-art technology to create a variety of branded china lines, accessories, buffetware, ramekins, and cook and serve pieces. All items are designed to stand the test of time, and many are cross-functional. From the oven to the tabletop, Hall China has you covered.